This weekend was busy and fun and filled with exciting news. We were blessed with hot and sunny weather on Saturday (while our thoughts were with those battling the hurricane on the East Coast) so we were able to spend the day swimming and enjoying a nice BBQ. That's what summer is all about, right? 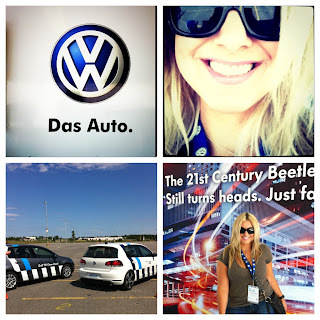 I was also invited to take part in the Volkswagen freedriving tour. I've been a Volkswagen driver since the day I got my license when I was 16 years old, and my family has only ever owned German made vehicles. We brought the kids along with us, and they had a blast. You can read all about my experience on my Yummy Mummy Club blog! Now for the really exciting news! 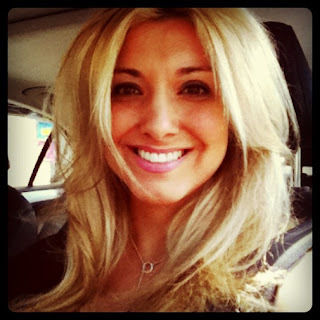 I recently applied to be the new co-host of a lifestyle talk show here in Ottawa called Daytime (on Rogers). It's a wonderful show that's all about the great city I live in. It covers entertainment stories, community events, cooking, and so much more. I was on the show a few months ago as a guest, speaking about being a mom blogger. On Sunday I found out that I am a finalist for the position of co-host for Daytime Ottawa. I'm in the TOP TEN, baby! I'll be co-hosting the show on Wednesday, September 7th! If you're not able to watch me live, don't worry - I'll send out the link so you can watch! After the ten finalists have all co-hosted, viewers and friends will get to vote online for their top three favourite co-hosts from September 17th to 22nd. The top three will then be showcased between September 26th and 28th. Of course, I'll be reminding you every two minutes on Twitter so you don't forget. You're welcome. I am so excited and so happy to have made it this far. When I got the good news, there was a lot of 'squee-ing' going on in my house. And I sort of forgot all about the housework I was doing. I did manage to cook dinner, though, with shaking hands. Years ago, I was a reporter for a show on Rogers called Ottawa Living - I was the "girl around town", and I would report on the events taking place in the city every week, from different locations around town. I spent a few years working as a reporter for a news talk radio station, and I also worked as a news writer for another TV station. With degrees in Communications and Broadcast Journalism, you could say that I am definitely passionate about the news and media world. I interned in the fast-paced newsroom at CBS TV in Washington, D.C. and sat in Mary Hart's chair at Entertainment Tonight in Hollywood, California. Both those internships taught me a lot, and confirmed to me what I already knew - working in TV, both behind the scenes and in front of the camera, was a great place for me to be. Even if I don't advance to the top three (but believe me, my fingers are crossed!) I'm thrilled to have been given this opportunity. I hope you all have a chance to watch when I co-host, and I hope I'll have your support so I can advance to the next round! In other news, I was one of three fashion bloggers chosen to be featured in the fall shopping issue of Ottawa Magazine. I'm so excited, and wanted to say thank you for your kind words on Twitter, Facebook, and through email. I appreciate it a lot! Now that is really cool!! Keeping my fingers crossed for you and will be voting whenever that time comes. Looking forward to seeing the link since we don't get TV from Canada here in Charleston, SC. Good Luck! GOOOOOOOOOOOO you ! Thats such awesome news and I hope you get the position on the show! Congratulations on making it into the top ten, and I have no doubt you'll make it all the way! Uhhhhhhh, why the hell are you not currently working in TV???!?! That's so awesome!! Congrats! I'll be voting for you! That's so amazing!!!! I'm so excited for you!!!!! Congratulations. I will watch for the call out for votes. Wow! Congrats and good luck. Congrats!! Can't wait to watch you!! Wow! Incredible and exciting news for sure. You must be on cloud nine. If I can vote, I will definitely support you my dear Canadian friend!